July 17, 2017 – Dr. James McGinty has been named chief of surgery and surgical services at Englewood Hospital and Medical Center. A board-certified general surgeon with expertise in bariatric surgery, Dr. McGinty performs minimally invasive and robotic weight-loss procedures, focused on helping patients lose weight and improve, resolve, and prevent conditions associated with obesity. He has a special interest in novel surgical techniques and technology including simulation and robotic surgery. As chief of surgery and surgical services, Dr. McGinty will provide leadership for inpatient and outpatient operating rooms, surgical staff, and programs with a focus on patient safety and efficiency. Dr. McGinty will step into the role previously held by Dr. Michael Harris, a nationally recognized gastrointestinal surgeon. Dr. Harris currently serves as senior vice president and chief medical officer. Most recently, Dr. McGinty was chief of minimally invasive and bariatric surgery and vice chairman of surgery at Mount Sinai St. Luke’s and Mount Sinai West Hospitals, and an assistant professor of surgery at the Icahn School of Medicine at Mount Sinai. For 10 years he served as the director for the general surgery residency training program there. After receiving his medical degree from Drexel University School of Medicine, Dr. McGinty completed his surgical residency at Allegheny General Hospital and his advanced laparoscopic surgical fellowship at the Minimal Access Surgery Center at NewYork-Presbyterian/Columbia University Medical Center. Dr. McGinty has published multiple research articles and presented at national and international conferences. He is a fellow of the American College of Surgeons and is a member of the American Society of Bariatric and Metabolic Surgery, Society of Gastrointestinal and Endoscopic Surgeons, American Hernia Society, and Society for Surgery of the Alimentary Tract. Dr. McGinty is also a member of the board of directors for the Association of Program Directors in Surgery. 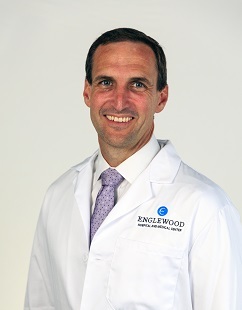 Dr. McGinty is a member of the physician network of Englewood Hospital and Medical Center, and can be reached at 201-608-2848.